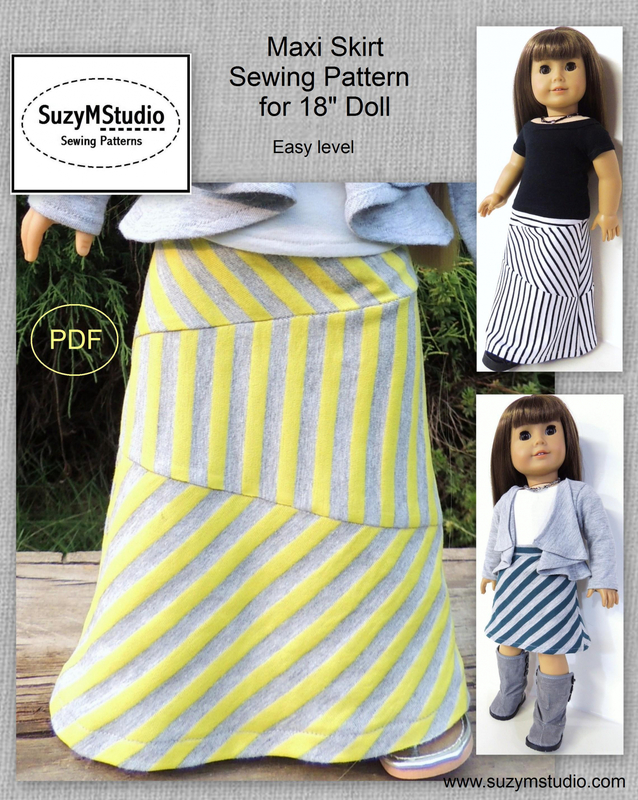 Maxi Skirt Sewing Pattern for 18 inch doll. Suitable for cotton knit fabrics or t-shirt material. Modern and versatile. Any season, 4 styles with or without waistband and easy to make. Made to fit 18 inch dolls. 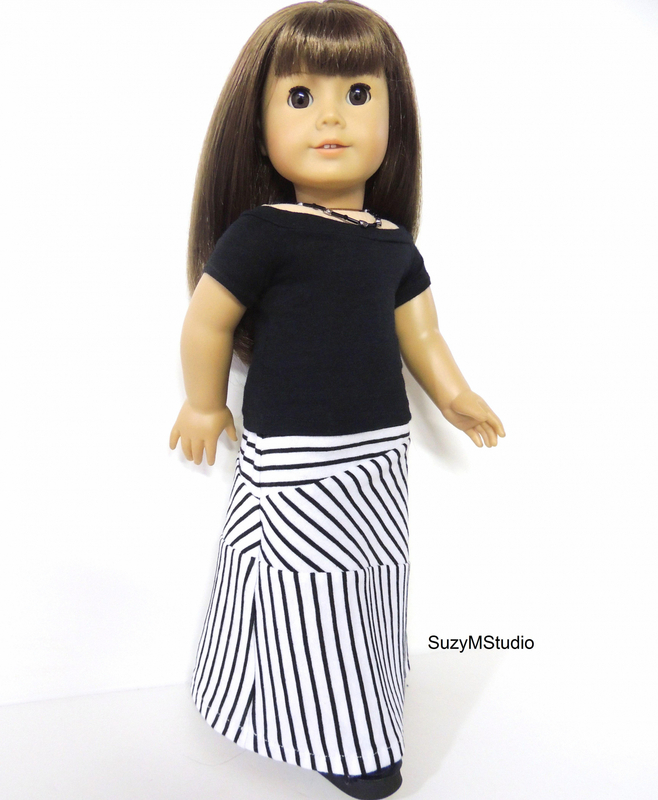 Designed by me, you may use this pattern to create clothing to sell, handmade only.The only ask you to credit "SuzyMStudio". Follow me on wordpress, pinterest or facebook.